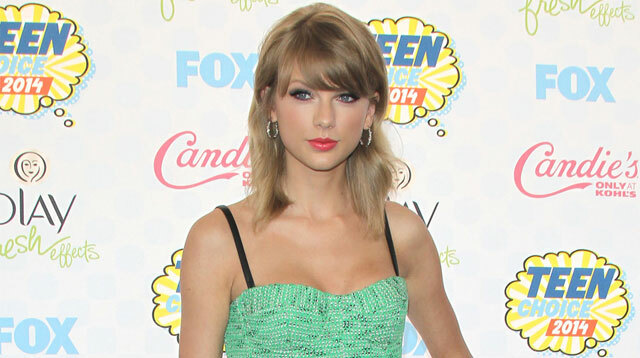 Taylor Swift has launched an app in conjunction with her music video for her latest single, "Blank Space." The 24-year-old singer unveiled the American Express Unstaged Taylor Swift Blank Space Experience App earlier today, which enables her supporters—known as Swifties—to travel around the mansion featured in her video thanks to a 360-degree experience by clicking on their screen. Speaking to website Mashable, Joseph Kahn, who directed both the video and the app experience, said: "The app is a cross between theater, a music video, and a video game. I had to direct it more like a stage show than a music video so the audience can choose any way they want to look. We had to create reasons for them to turn their head or look up or look down." Users of the free iOS and Android app are tasked with collecting 41 objects in the room in order to finish the game, including a pair of binoculars to get a better look at Taylor and her fictional love interest from the "Blank Space" music video. Joseph added: "Let's keep in mind that all of this technology is great, but ultimately there's a story. That's the key. What makes it interesting is that we're tracking the story of her and this guy going on this great date, and then her going psychotic. We're a fly on the wall." App users can also follow Taylor around as she sings "Blank Space" and even pick up the mobile phone featured in the video.